The data could help change the quotas on some species for recreational fishermen. What happens when a fisherman tosses a fish back overboard? It’s not a frivolous question. The government bases catch quotas and other rules in part on the mortality of tossed fish, and there isn’t always accurate data available about how many fish survive the fling. Now, a group of New England scientists says it’s finding that a surprisingly high percentage of the lucky fish might live to swim another day. 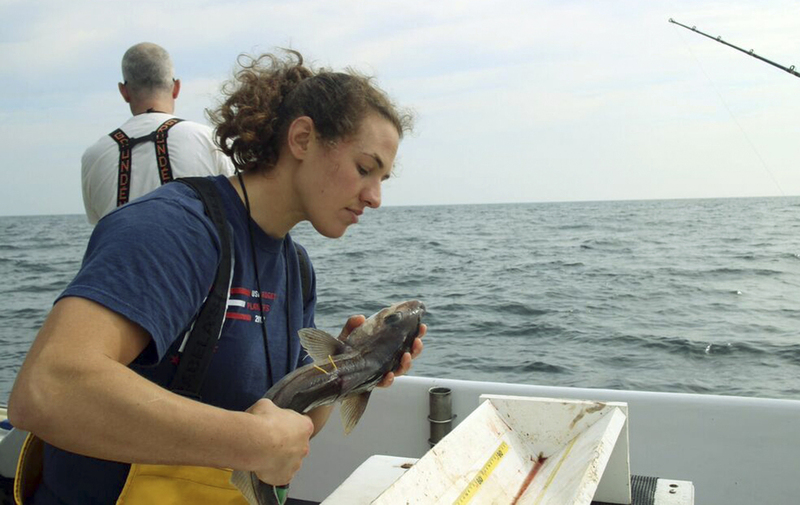 Scientists with the New England Aquarium and other institutions want to help the fishing managers get a better handle on what happens when cod, haddock and cusk get thrown from a fisherman’s line back into the sea. The first round of their research, on the imperiled Gulf of Maine cod, found that 9 percent to 21 percent of the fish died, less than the 30 percent estimate regulators had been using. That data could help change quotas for recreational fishermen, who like their commercial counterparts must abide by strict limits on some species. The Massachusetts Division of Fisheries, University of Massachusetts Dartmouth, University of New England and the Boston aquarium provided the researchers. The scientists are partnering with recreational fishing fleets in Seabrook, New Hampshire, and Gloucester, Massachusetts, on the study. The researchers are using acoustic tags to track the movement of the fish after they are released to determine if they are alive or dead. The work on cod is finished, data on haddock is being analyzed and the work on cusk will continue until 2017, Mandelman said. Mark Grant, a recreational fishing coordinator for the National Oceanic and Atmospheric Association’s fisheries service, said the group’s work has already been useful to the agency. The data on cod helped regulators decide to keep the recreational haddock fishery open in 2015, Grant said. Cod, in the midst of a steep decline off of New England, are frequently taken as by-catch by haddock fishermen, and their high rate of survival after discard eases some concern that they frequently die even when thrown back, he said. David Goethel, a New Hampshire-based biologist and commercial fisherman who is not involved in the study, said the cod findings reflect what he has seen in tagging tens of thousands of the fish over the years. He said he welcomes the collaboration between science and industry.